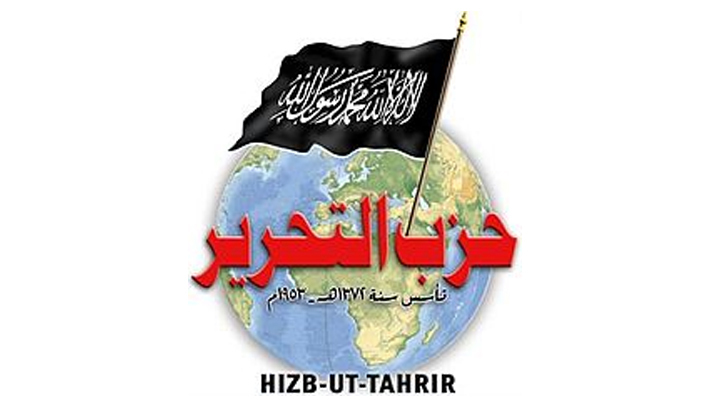 Hizb ut-Tahrir al-Islami (the Islamic Liberation Party – hereafter Hizb ut-Tahrir) was founded in 1953 by the Palestinian Islamic scholar Taqiuddin an-Nabhani. In the following decades, the party pioneered Islamist activism around the world, including in Europe. The restoration of the Caliphate is the centerpiece of the party’s ideology. However, it has refused to advocate terrorist violence as a tool of political change. Instead, it has favored the widespread dissemination of leaflets and party literature in universities, mosques, and other public areas for the purpose of re-Islamizing society. The group also makes extensive use of the internet and social media to propagate messages that are plainly radical by Western standards. The first British branch of Hizb ut-Tahrir was established in the early 1980s. Under the charismatic leadership of Syrian-born Omar Bakri Muhammad, the group rapidly increased its activities and expanded its membership, focusing in particular on professionals and university students. It became known to the wider public above all due to its protests against Salman Rushdie and his book ‘The Satanic Verses’. The British branch also adopted an active global approach – the UK was but one of its concerns. There are numerous examples. In the early 2000s, the party launched a campaign against the Karimov regime of Uzbekistan, accusing Uzbek security services of torturing and killing party members. In February 2006, it organized a protest outside the embassy of Denmark over the satirical cartoons of the prophet Muhammad published in a Danish newspaper. In February 2010, female members demonstrated outside the French embassy against the banning of the face veil (niqab). In September 2012, it staged a protest against a film mocking Islam outside the US embassy in London. Hizb ut-Tahrir’s activities in other European countries have included protests, sit-ins and petitions. The Danish branch has organized high-profile events and succeeded in forming relationships with the broader Muslim community. In 2006, for example, the branch joined up with local representatives of the Muslim Brotherhood and imams from Danish mosques to present a panel debate about the Jyllands-Posten Muhammad cartoons controversy. In Belgium, the group staged a demonstration outside the Uzbek embassy in Brussels during Islam Karimov’s visit to the European Union and NATO in January 2011. This was apparently the first open manifestation of Hizb ut-Tahrir in Belgium. In March 2013, Hizb ut-Tahrir held a conference about the restoration of Caliphate in the Netherlands. However, the terrorist attacks in New York and Washington in 2001 dramatically increased the visibility of Muslims. Such a change was bound to have serious implications for the everyday life of millions of Muslims in Europe. In the immediate post-9/11 period, Muslim citizens were monitored by authorities, physical and verbal attacks against Muslims were on the rise, and the media constantly identified Islam as a national security threat. In this new context, Hizb ut-Tahrir has used the language of human rights to spread its ideas and gain influence. In Britain, it has seized every opportunity to criticize state-sanctioned narratives and discourses. Wahid based his criticism on an arguably valid point: some Europeans do indeed expect Muslim communities to apologize and reaffirm their loyalty to the state. There is a widespread suspicion of Muslim citizens, who are viewed by some politicians and media as untrustworthy and fanatical. Consequently, Muslim citizens must constantly condemn those co-religionists who use violence against civilians. “a diabolical and systematic campaign of genocide has been unleashed upon the helpless Muslims of the region…only with the re-establishment of the Khilafah…Muslims can be saved from bloodshed and systematic abuse”. From Hizb ut-Tahrir’s point of view, such tragic stories confirm the claim that the human rights of Muslims are systematically abused by non-Muslims and this can stop only if the Caliphate is restored. Hizb ut-Tahrir’s narrative is simple and self-explanatory -it instrumentalizes Western concepts of human rights to propagate its messages and mobilize supporters in different countries, even though human rights under a Caliphate would not be the rights enjoyed in a Western democracy. *Dr Emmanuel Karagiannis is a Senior Lecturer at King’s College London’s Department of Defence Studies. His book The New Political Islam: Human Rights, Democracy and Justice has just been published by the University of Pennsylvania Press.